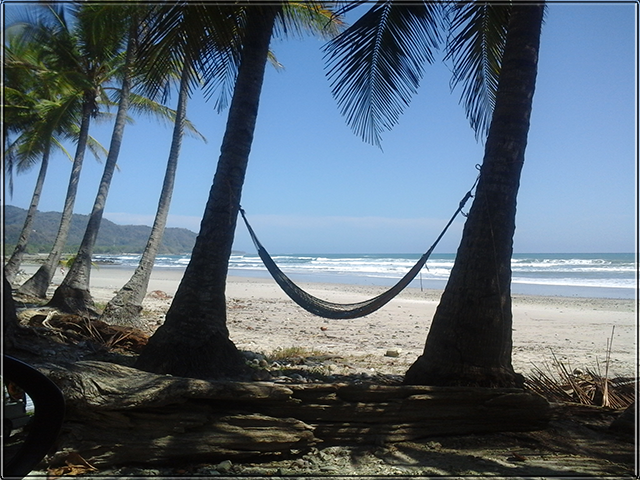 If you are a lover of the beach and are visit Costa Rica, we recommend visiting Santa Teresa and Mal País area. Here's a little info about the area. These beaches are located in the province of Puntarenas, in the district of Cobano; even though they are very close to each other, they have different environments; these beaches are perfect for surfing and its charming atmosphere is perfect for your vacation. 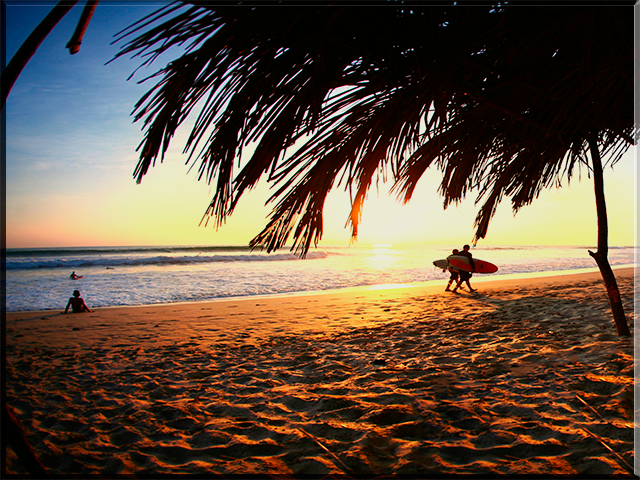 White sands and excellent beaches for surfing makes Santa Teresa one of the most popular areas of Costa Rica. Its development over the last 10 years has been amazing, Santa Teresa offers many Tourist Services such as tour operators, banks, supermarkets, medical services, car rentals, hotels and more. Santa Teresa is aimed at surfers.It has hotels, campsites and shops for surf lovers; it even has schools to learn the sport. However, you don't need to be a surfer to enjoy a wonderful vacation here. In this beach you can enjoy beach walks, boat trips, fishing, diving, SUP, horseback riding and jungle canopy tours. This beautiful beach also offers many hotels aimed at lovers of yoga and Pilates. In this quiet beach you can enjoy unforgettable sunsets and cool breeze while watching the surfers on the beach; during high season this area offers a excellent entertainment at night. Enjoy in "La Lora Salon", where sometimes there is live music with a popular band from Costa Rica; or you can enjoy a party on the Santa Teresa beach, where some DJs play electronic music or sometimes have a Reggae nights. In this area you will always find an activity to do, for this and many reasons, visit Santa Teresa. Mal País is a quieter part of these two towns. Mal País has retained its relaxed atmosphere, forests with old trees that stretch to the sea, rocky parts that are interspersed with the beach sand. Mal País is a very quiet town, this place offers to visitors the opportunity to escape the hustle and bustle of more popular destinations in Costa Rica; it is an excellent place to enjoy the incredible natural environment surrounded by lots of peace. This beach is one of the best places for surfing in Costa Rica; but this town does not offer many services for the tourist, however there are lovely hotels and houses for rent; plus you can enjoy some canopy tours, fishing, diving, boat tours and horseback riding along the beach. South of Mal País beach, you can find a fishing port; which also serves as a starting point for fishing or diving tours. This area is located near the peak of the Nicoya Peninsula and the Cabo Blanco marine sanctuary, so this area offers a lush marine life, where you can see dolphins, stingrays, sea turtles, whales and more. At the Cabo Blanco limit you can find a great beauty beach, called Suecos beach or Secret Beach; this small beach offers the best dive site in Mal País. Although Mal País borders the Cabo Blanco Nature Reserve there is no entry to park on this side; but you can explore the environment of this reserve by a canopy or horseback riding tour through the jungle. The Cabo Blanco Nature Reserve is open from 8 am to 4 pm and one trip or tour around this zone take approximately 4 hours. It is Important to know that Mondays and Tuesdays the reserve is closed. From Mal País down town to the reserve the distance is about 8km across the mountain; but a large part of the year this road is in poor condition; therefore we recommend checking with the locals if the road is passable before leaving, or you can take the alternative route through Cobano and Montezuma. If you want to take a tour, do not hesitate to contact our business partner Santa Teresa Travel and they will gladly help you with your activities. The shared transportation is the most convenient way for travel within Costa Rica, since you can move from / to the main destinations in Costa Rica without driving unfamiliar roads. Interbus offers Shuttle Service from San Jose to Santa Teresa & Mal País, picking up the customers in many metropolitan hotels, the transportation will cost $52 per person, per way and this price includes the ferry ticket. For more information about this route or other routes, write to Info@interbusonline.com or if you would like to book Enter here. You can take a flight from San Jose to Tambor airport. This local flight takes about 40 minutes, and then you must to take a taxi from the Tambor airport to Santa Teresa Mal & Mal País. This taxi ride takes about 45 minutes. The companies that offer these flights are Sansa Airlines and Nature Air. Another option is to travel by public transportation; if this is your choice, you should take the bus to Puntarenas area in "Empresarios Unidos", located in San José city, Street 16 and avenue 12; these buses depart regularly. When you arrive in Puntarenas you need to take the ferry to Paquera; then in the ferry terminal in Paquera, you should take the public bus to Santa Teresa / Mal Pais. It is important to know that the last bus from Paquera to these beaches is at 6:30 pm, which ties in perfectly with the 5:00 pm ferry leaving from Puntarenas. Recommendation: The roads in Costa Rica are generally in very poor condition and in the Nicoya Peninsula are even worse than in the rest of the country; many streets in this area are dirt roads; so renting an ATV (all terrane vehicle) for touring in the area is a very good choice. If you visit Costa Rica, do not miss these beautiful beaches; and make your vacation an unforgettable experience.